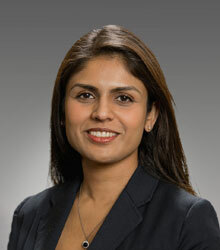 Bincy P. Abraham, MD, MS, is an associate professor of clinical medicine in the Academic Division of Gastroenterology and Hepatology at Houston Methodist – Weill Cornell in Houston, Texas. Dr. Abraham earned her undergraduate degree in bioengineering at Texas A&M University in College Station, and then received her medical degree from the University of Texas Medical Branch (UTMB) in Galveston. She completed her internal medicine internship and residency, as well as a gastroenterology fellowship at UTMB, where she also earned a master’s in clinical investigation and received specialized training in inflammatory bowel disease (IBD). During her training, she completed a National Visiting Fellow IBD Rotation Program through the Crohn’s and Colitis Foundation of America at Cedars-Sinai Medical Center in Los Angeles, California. She is board certified in Internal medicine and Gastroenterology. Dr. Abraham is a member of the American Gastroenterological Association, American College of Gastroenterology, Crohn’s and Colitis Foundation, American Society of Gastrointestinal Endoscopy, and chair of the South Texas Chapter of the Crohn’s and Colitis Foundation Medical Advisory Committee. Dr. Abraham is a principal investigator and coinvestigator in several key clinical trials. As author or coauthor, Dr. Abraham’s work has been published in peer-reviewed medical journals including Clinical Gastroenterology and Hepatology, American Journal of Gastroenterology, and Inflammatory Bowel Diseases. Antibiotics and probiotics in inflammatory bowel disease: When to use them? Abraham, BP 2018, Gastroenterology and Hepatology, vol. 14, no. 12, pp. 713-716. Abraham, BP & Kahn, SA 2014, Gastroenterology and Hepatology, vol. 10, no. 10, pp. 633-640.